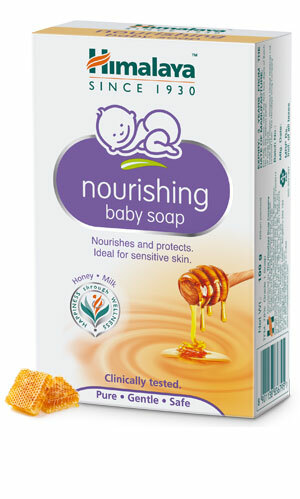 Himalaya's Nourishing Baby Soap is a herbal formulation, especially developed for baby's sensitive skin. It contains natural emollients like Honey, Sunflower, Castor Oil and Milk that moisturize baby’s skin, reducing itching and inflammation. Ideal for use during the monsoon season, Nourishing Baby Soap is free from artificial colours.